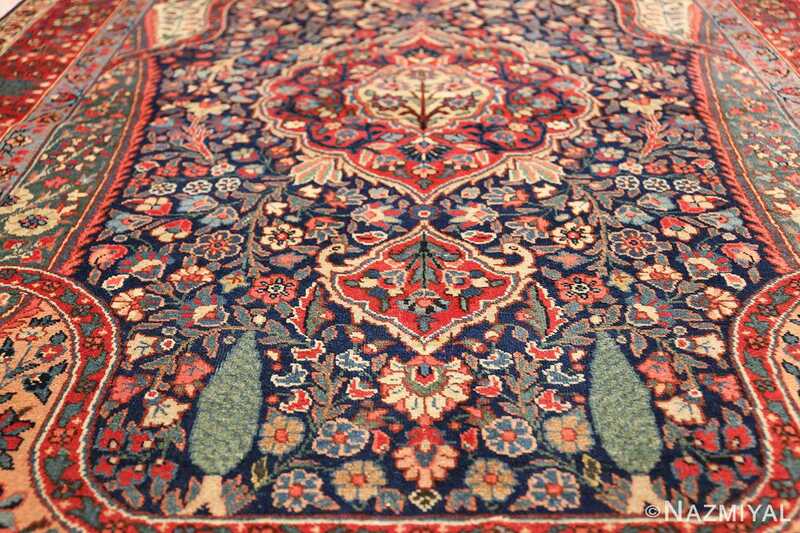 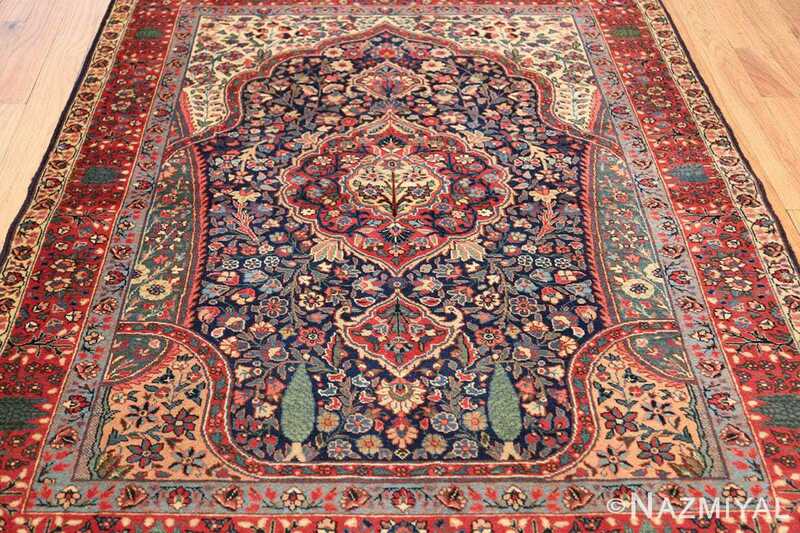 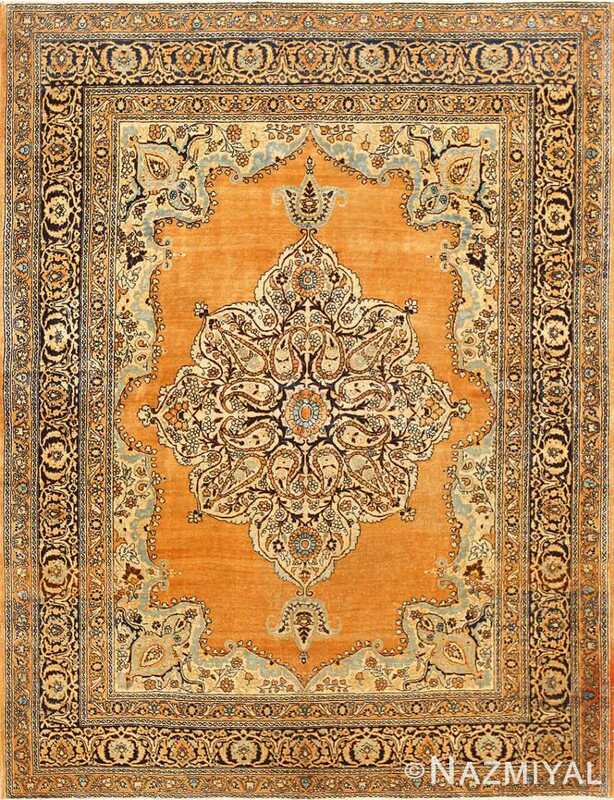 Beautiful and Finely Woven Antique Tree Of Life Design Persian Tabriz Rug, Country of Origin: Persia, Circa Date: 1900 - This elaborate Persian rug is a breathtaking tree of life inspired rug, centered with an ornate medallion edged in artfully chosen colors to create a gilded appearance. 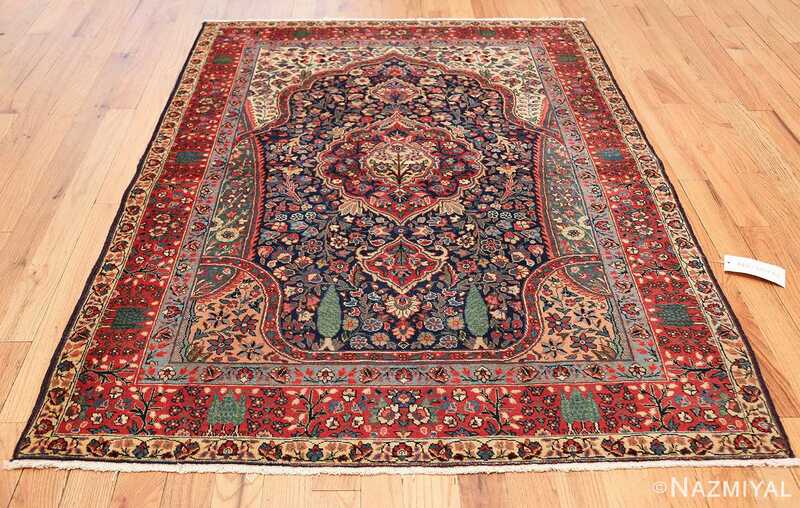 In the heart of this Persian Tabriz rug, a flowering tree rests over a sunny yellow, encircled by blue-black, flowering vines with a crimson backdrop. 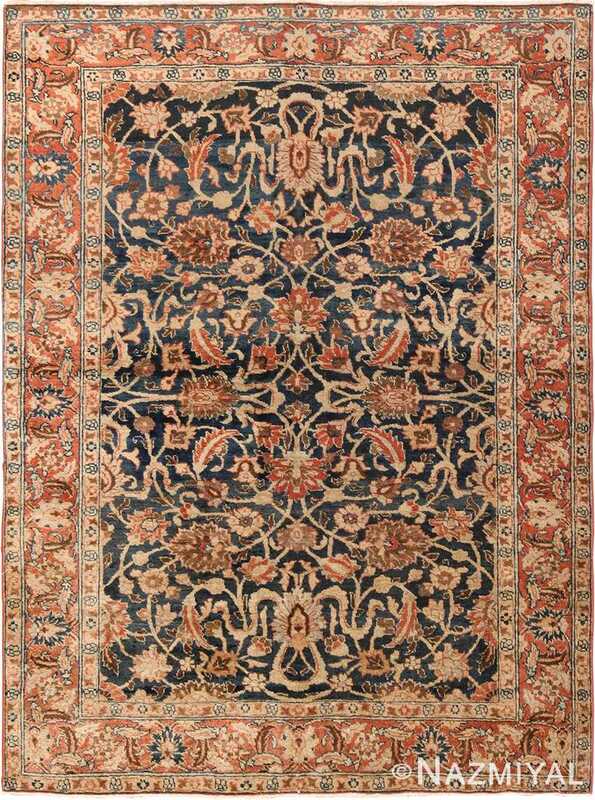 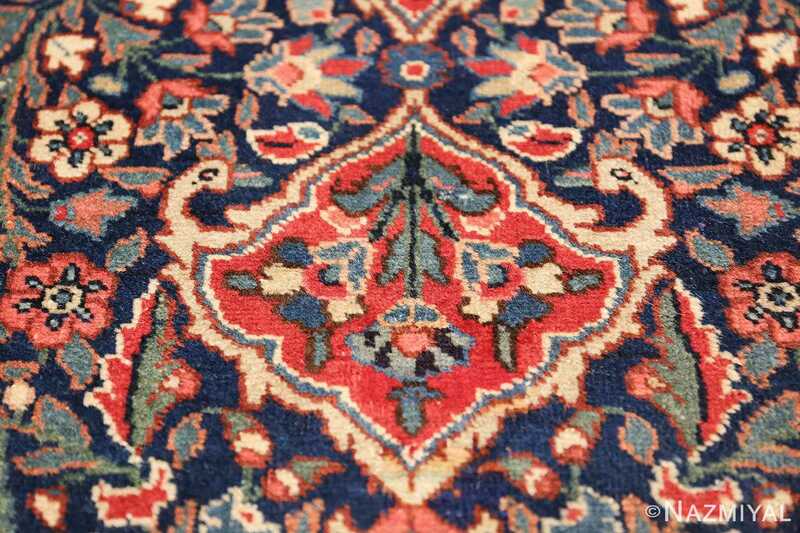 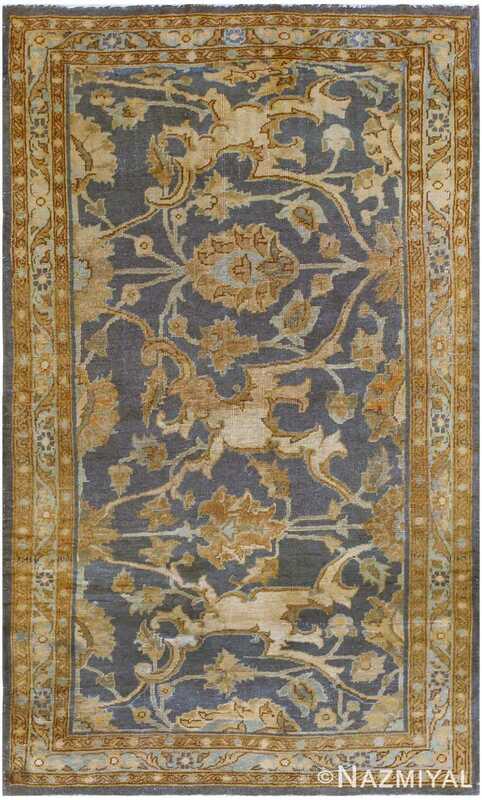 Smaller figures hover above and below, centering the medallion over a navy area brimming with cleverly positioned flowers formed with diverse colors and shapes. 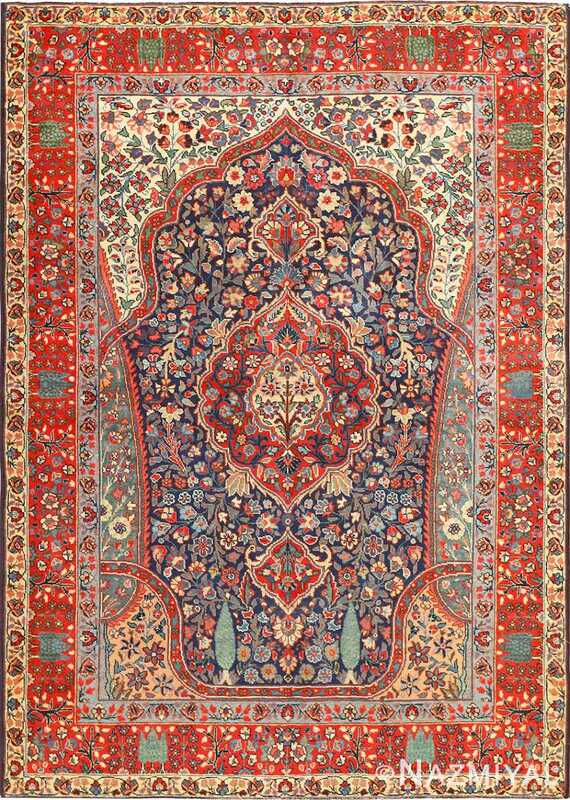 Graceful arabesques describe thick line-work that creates colorful zones full of a stunning, imaginative variety of flora. 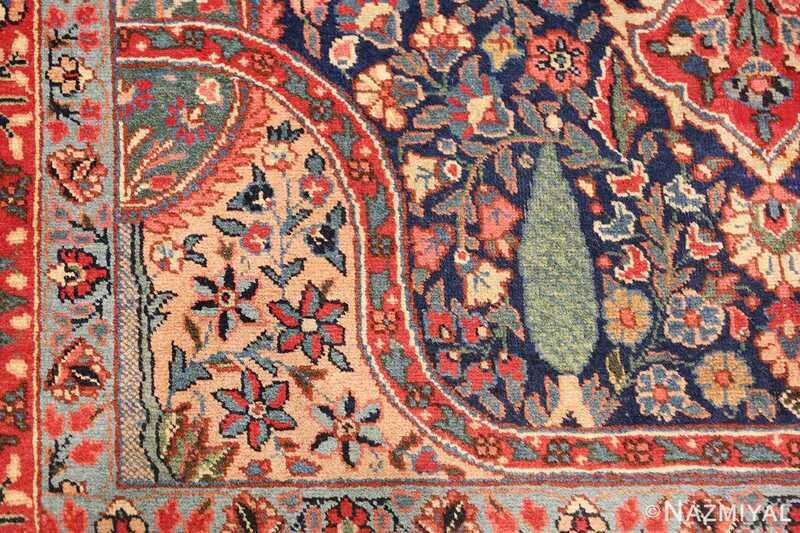 A rectangular blue border captures the fanciful arches, itself full of flowers. 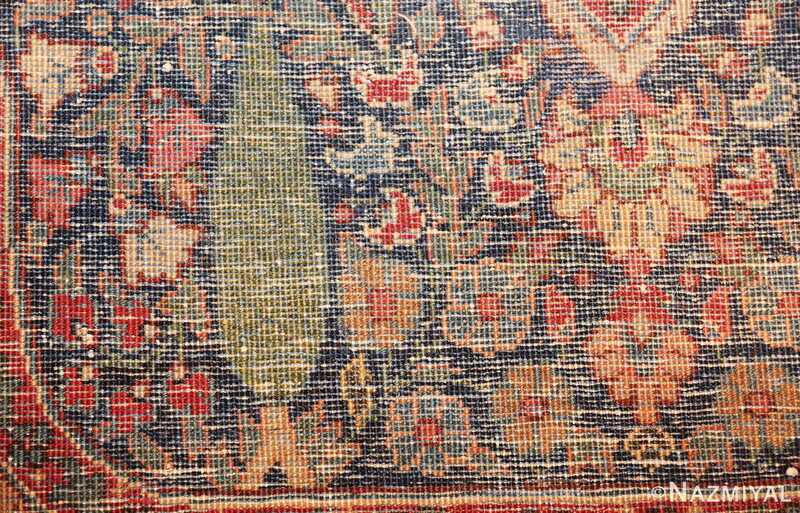 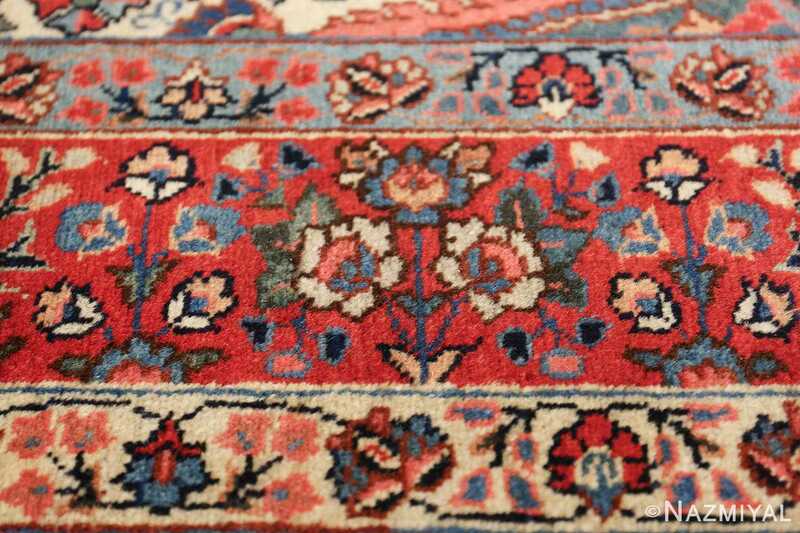 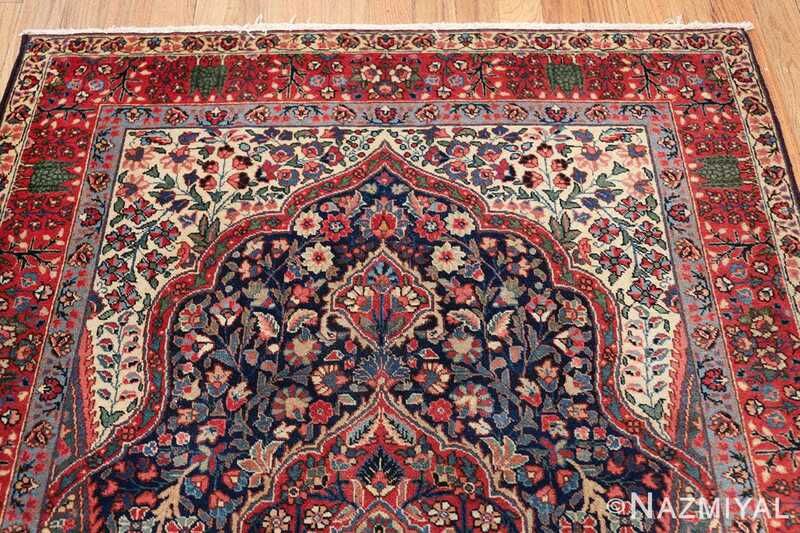 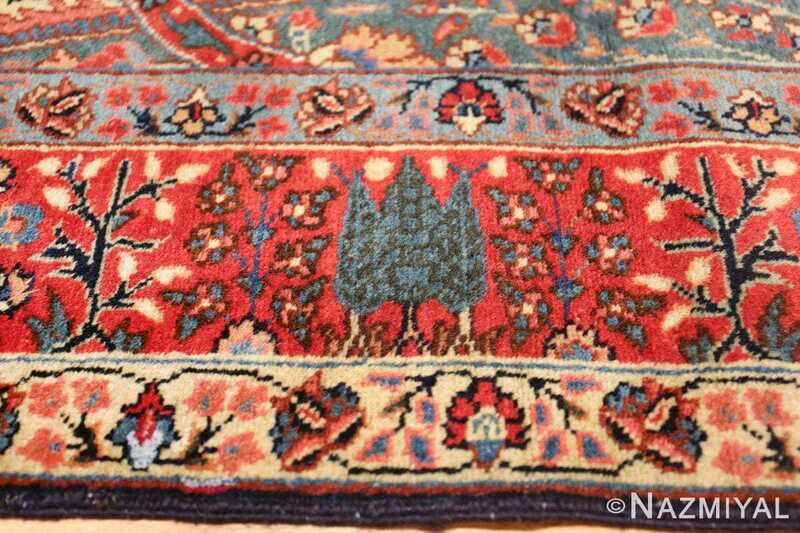 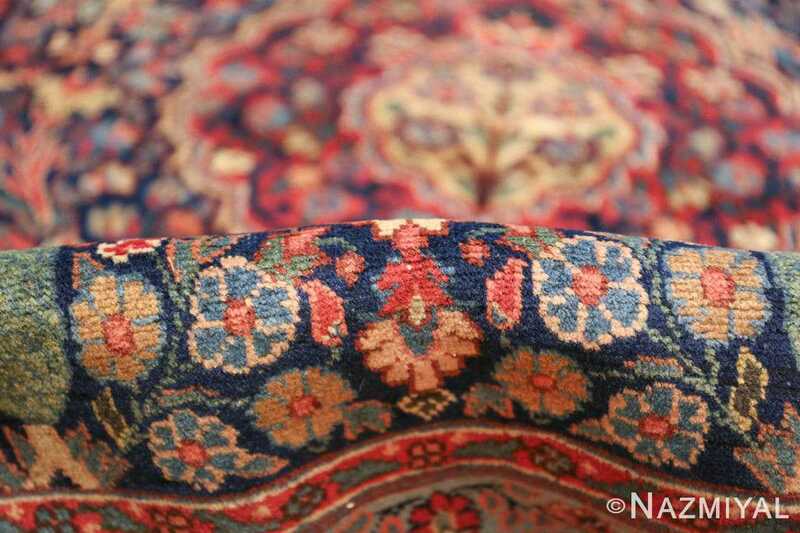 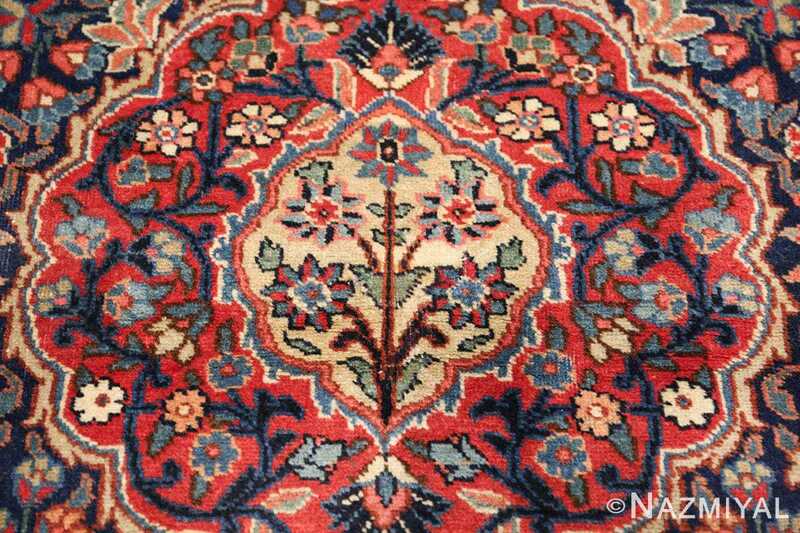 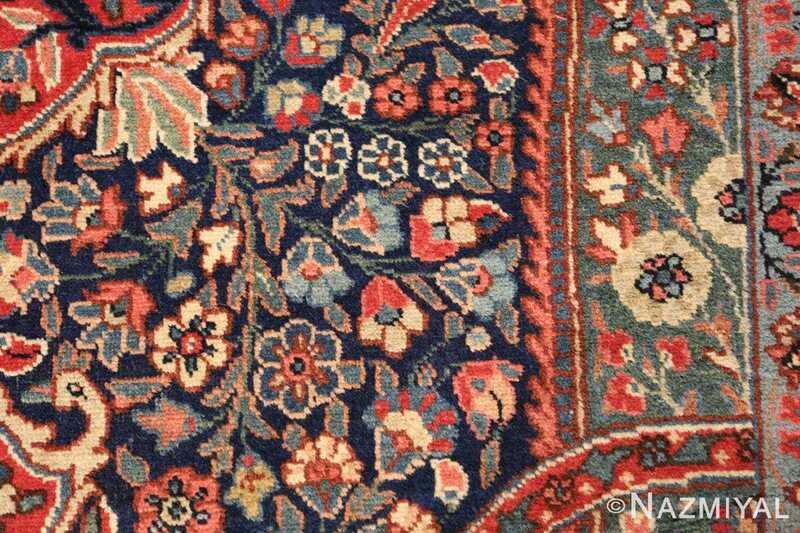 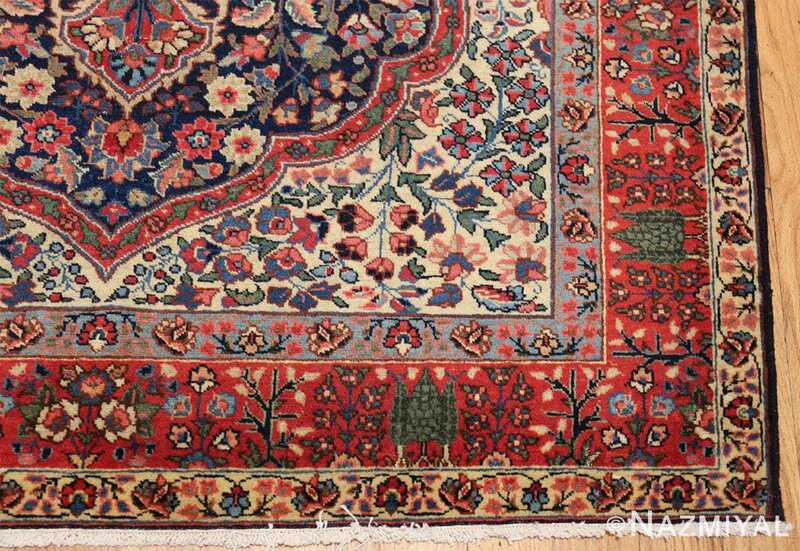 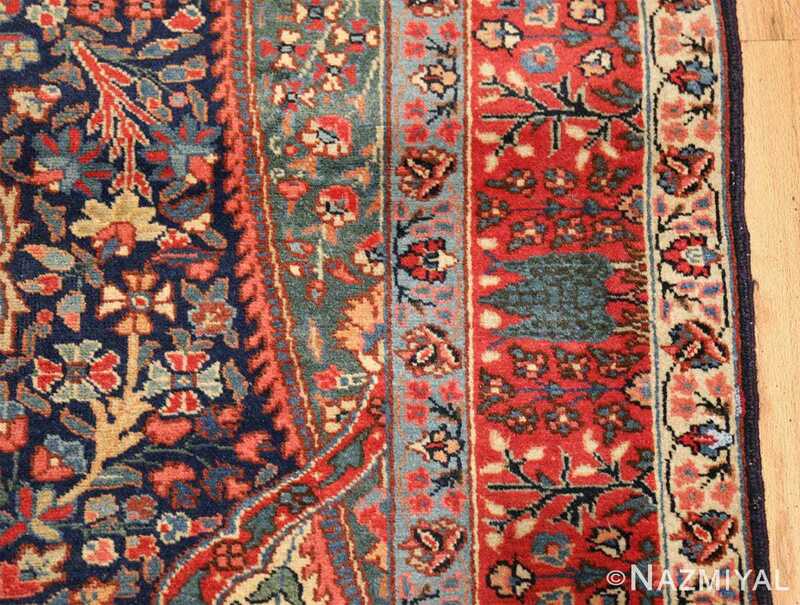 Red and yellow borders add a final balance to this antique Oriental rug, each richly detailed with seemingly endless blossoms.